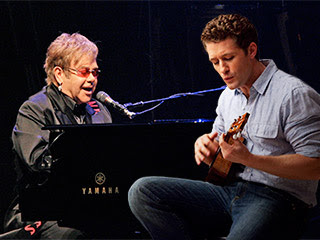 Glee star Matthew Morrison has revealed who he wants to join him on his solo tour. The actor and singer will be hitting the road starting June 18 in Minneapolis, before touring across the US. And if he has it his way, Morrison said he will be joined by some A-list guests - Gwyneth Paltrow and Elton John, who both appear on his debut album.